The Gobi March is part of the 4 Deserts Ultramarathon Series which was named by TIME magazine as one of the Top 10 Endurance Competitions in the world. During the Gobi March (Mongolia), competitors, volunteers and staff are expected to consume up to 15,000 liters of water in total. The Gobi March (Mongolia) is a 250 kilometer / 155 mile long self-supported footrace that takes place over six stages / seven days and is the most culturally rich race you will find. Weather in the Gobi region of Mongolia is some of the most extreme in the world. Temperatures vary between -30°C / -22°F in winter to +40°C / 104°F or higher in some regions during summer. 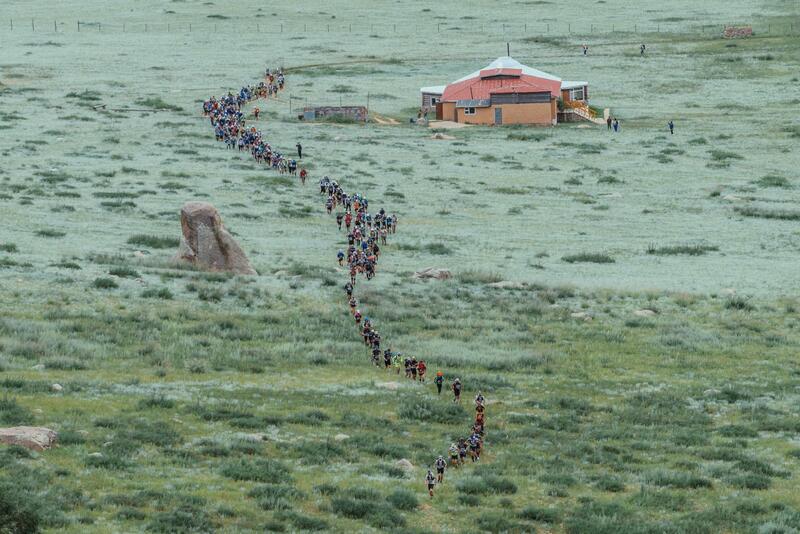 During the Gobi March (Mongolia) temperatures are likely to range between 5-35°C / 41-95°F during the day. They could get as low as 0°C / 32°F at night. Competitors are required to pass through up to 30 checkpoints throughout the seven-day race before crossing the finish line. 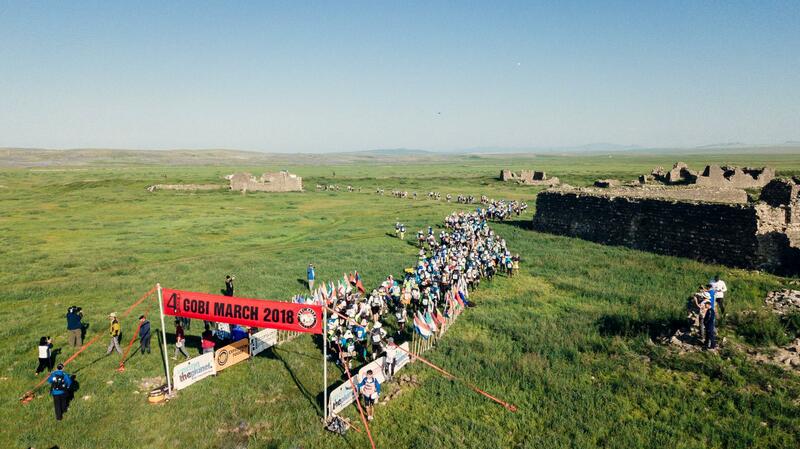 The Gobi March (Mongolia) starts on 28 July 2019. It is the 16th edition of the race. 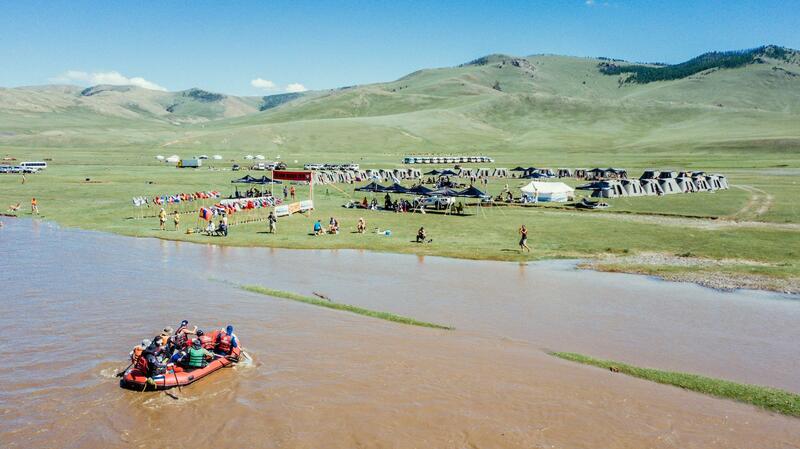 Around 200 competitors representing more than 40 countries will compete in the Gobi March (Mongolia). Ulaanbaatar is the capital of Mongolia – this is where 45% of the population live. Ulaanbaatar is also the host town for the Gobi March (Mongolia). The fastest finish time on any Gobi March course was set by Vicente Garcia Beneito of Spain with an overall time of 23 hours and 12 minutes in 2012. The course of the Gobi March (Mongolia) follows the footsteps of the Great Genghis Khan with the race ending Karakorum, the 13th and 14th century capital of Genghis Khan’s Empire, in the vast steppe. More than 50% of Gobi March (Mongolia) competitors are expected to have completed a previous RacingThePlanet / 4 Deserts ultramarathon, with 50% joining for the first time. Gobi March (Mongolia) will pass through the UNESCO Heritage Site of the stunning Okrhon Valley. It will be a mixture of open grasslands, sand dunes, rocky mountains, nomadic farmlands, great rock valleys, old forests, wide rivers and old heritage sites. Approximately 20% of competitors run the entire course, 60% combine running with walking, and 20% walk the entire course. The fastest completion time is expected to be around 24 hours and the slowest around 70 hours. The Gobi March (Mongolia) is a self-supported race; competitors must carry all mandatory items for seven days on their backs. The average backpack weighs 9 kilograms / 20 pounds. Much of the population of Mongolia still hold onto its old traditions and cultures. 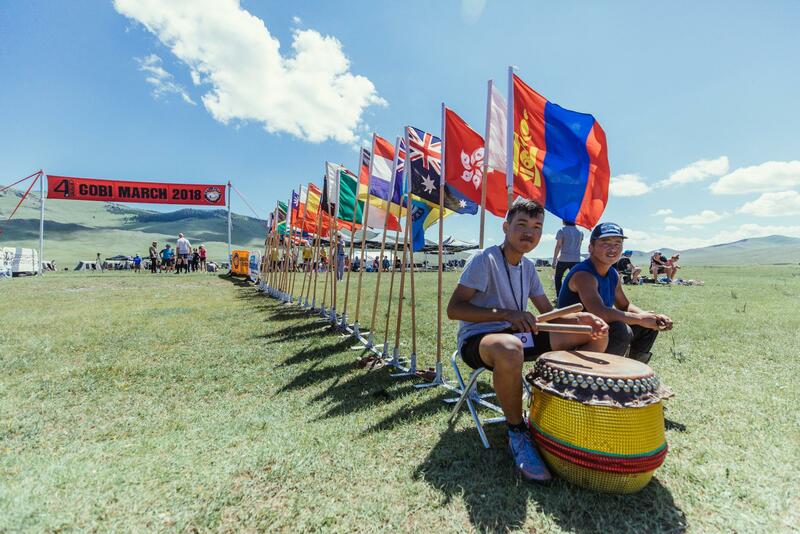 Gobi March (Mongolia) competitors will witness and experience this untouched culture in its natural form – in particular through the nomadic farmers along the course. Competitors use tablets in a specially designated Cybertent to write blogs and exchange emails during the race. RacingThePlanet and the Esquel-Y.L. Yang Education Foundation partnered to create the RacingThePlanet-Esquel Scholarship Program, a seven-year program (2013-2019) to support education for girls in the Gobi region. Competitors will also sleep in traditional Gers (yurts) at some Camps during the race. Many competitors raise money and awareness for charities around the globe through their participation in the Gobi March (Mongolia).